Well known for their musical ability and crowd-pleasing performances, using guitars & drums and two vocals, The Ashmore Brothers have now established a firm reputation for being one of the UK’s premium two piece bands. 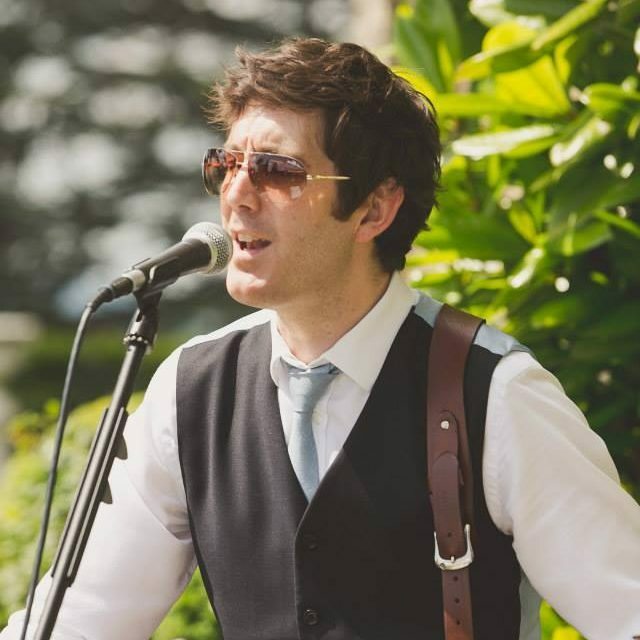 We are full-time professional musicians with a mission to provide the best possible entertainment for weddings all over the UK. With over 10 years experience and performing at over 70 weddings a year, you can trust that we will provide you and your guests with an unforgettable evening. A varied songlist ranging from The Beatles & Queen through to Bruno Mars, Ed Sheeran & The Killers, means you can be sure there will be something for everyone to dance to! For evening bookings, we provide a complimentary DJ package, which includes music before, between and after our live sets meaning you won’t have to hire anyone else for your evening entertainment. Requests can be taken on the night too! We are a fully self contained band with a high-quality sound and lighting setup to ensure the best possible sound on the night. Matt Ashmore has been a drummer/percussionist in bands and local folk clubs for many years. 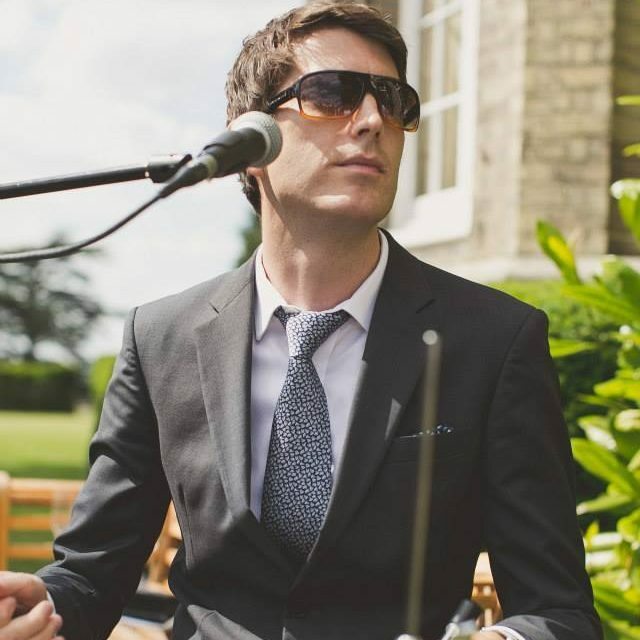 Matt provides backing vocals and plays the Cajon setup with hi-hats/cymbals (in effect, a small drum kit!). The Cajon has been used to accompany acoustic artists such as Seth Lakeman, Sandy Thom and even rock band Biffy Clyro. Matt uses a hybrid drum kit set up for evening receptions for a full drum kit sound combining electric and live cymbals. The volume can be altered easily to help adhere to venue sound limiters. After a further two E.P’s, he saw his group ‘Raising Sand’ enter the music video charts (MTV2 & Scuzz TV) and appeared in NME’s cover feature alongside ‘We are Scientists’, ‘Editors’ and ‘The Arctic monkeys’. Raising Sand enjoyed consistent London gigging and summer festivals including a slot supporting the Fun Loving Criminals. Why Use The Ashmore Brothers Band? Need more convincing? Here’s why people love to use us for their event. Because we don’t use large drum kits that take up lots of space etc. Many venues are now limited by having to use decibel meters; The Ashmore Brothers are extremely venue friendly. We perform at a volume level that keeps everyone happy, meaning that you don’t have to worry! One of the many reasons why the Ashmore Brothers are the preferred entertainment suppliers at many venues nationwide. Booking The Ashmore Brothers for your entire day can be a similar cost to how much some bands charge for just an evening reception. Not only could you save money by having one of the coolest bands around but it will also reduce stress by only having to deal with one supplier. Our DJ service tracks are played through the same speakers used by DJ’s, using our ‘mix track’ feature. Why pay extra for a DJ? We have a vast database of modern and classic tracks that are continually being updated. If your venue has wifi, we can take almost any request on the night, and we work closely with couples to make sure we have pre downloaded any favourite songs/artists. From an unplugged acoustic set during your ceremony, playing outside in the sunshine whilst you sip champagne to dancing your socks off in the evening. Ashmore Acoustics can provide all aspects of entertainment for your day. Due to our uncomplicated set up and the full sound just the two of us can provide, we can be fully portable. From a quick dash inside if it starts to rain during your champagne reception to moving us around for photographs. We pride ourselves and always receive amazing feedback on our vast and varied repertoire expanding every week. If your favourite song or special first dance song happens not to be on our set list, just let us know and we will endeavour to learn it for you! We won’t just turn up on your wedding day! Communication is as much of a priority as providing first class entertainment, allowing us to tailor music to your special day. You can contact us via our office number on 01948 820185 between hours 9am – 9pm, Monday to Friday. In the words of Sisters Sledge.. We have been performing together since we were knee high which not only means we have exceptional experience of performing but we have a special connection What can I say… He Ain’t Heavy He’s my Brother! We are frequently told how much energy we have when we perform, the main reason for this is because we are having a great time. We absolutely love what we do and this is visible whenever we are together!